Check out Tobi's Take Me Away Tassel Earrings Extra long chainmail tassels dangle from these trend-led earrings. 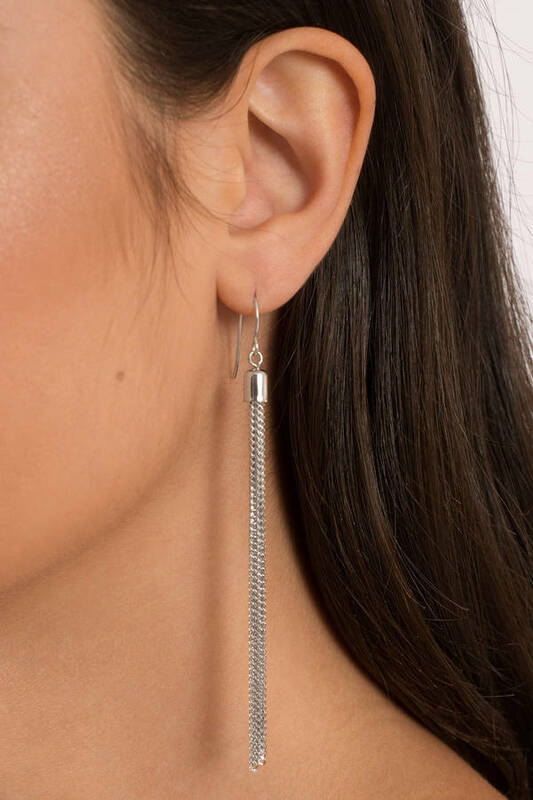 The Silver Take Me Away Tassel Earrings have a fish hook fastening and seven silver toned chains that swoosh about as you move. These dangly earrings are perfect with a party dress, of course, but add an edge to your casual tees too. 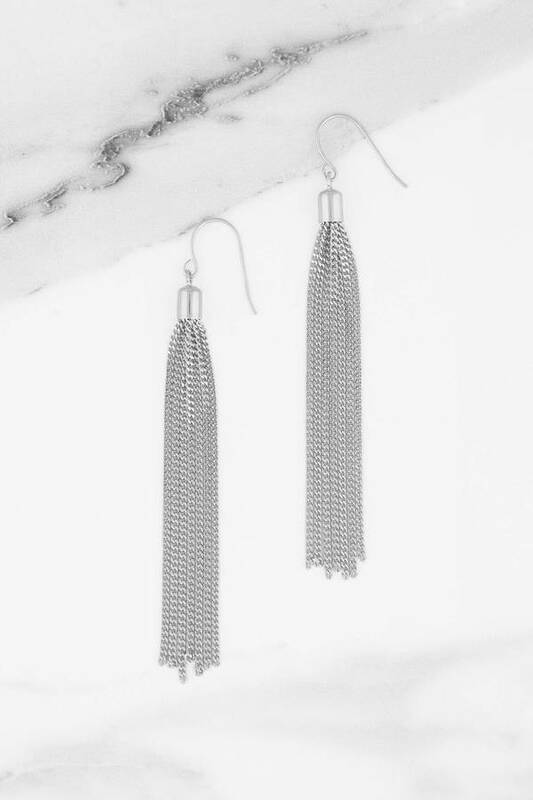 Extra long chainmail tassels dangle from these trend-led earrings. The Silver Take Me Away Tassel Earrings have a fish hook fastening and seven silver toned chains that swoosh about as you move. These dangly earrings are perfect with a party dress, of course, but add an edge to your casual tees too.